One of the most important things that having a second baby taught us was that it was a wrong decision on our part earlier to not want to give our daughter a sibling. You see, we, and especially me, were so in love with her and so involved and complete, that we didn't feel the need to get another baby home. Our daughter too feels that we are the best people in the world for her (I can't wait to see how long that remains)! :-) It's such a lovely feeling, right? 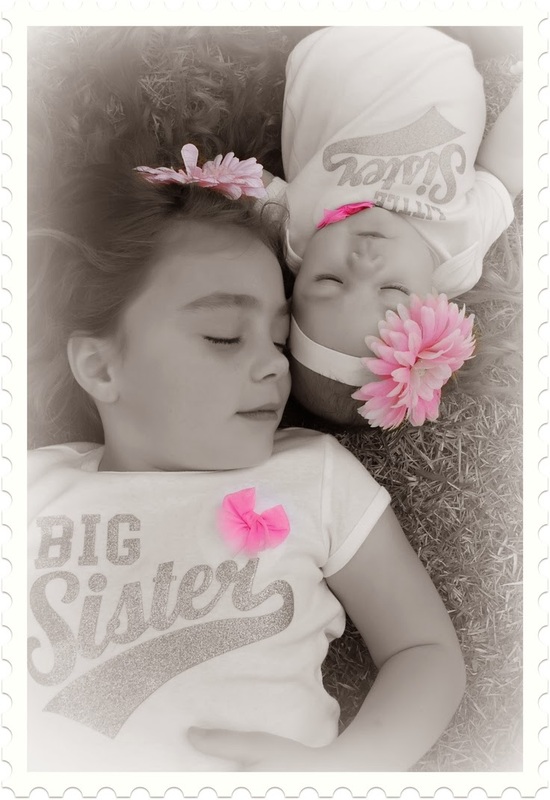 But yes, she did begin asking for a baby sis, and thankfully, that is what she got. family circle, is the attitude towards the older sibling. With a new baby in the house, almost everyone oohs and aaahs over the little one. While earlier our elder daughter would be the cynosure of all eyes and the cute little doll everyone would play with, the baby has now become the attention of all. I understand it is bound to happen, with people outside, they don't really realise that just because there's a smaller baby in the picture, the other child isn't as cute or as sweet and small as she was earlier. We of course can't change their attitude. So it is, that for us, our first born still remains our little doll even though she is supposedly a big sis now! :-) Each time we pick out something for the baby, we make sure we get a something for her too. Our cuddles and hugs are mostly group ones....we snuggle up together, we tickle each other, we constantly tell her how much we love her. And no matter what happens, we let her know that she was, and still remains, and still will forever remain, our Princess Number One!